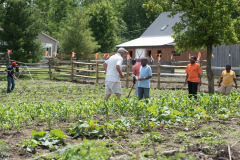 The Somali Bantu Community Farm is a place to share cultural farming traditions and the benefits of nature, while also providing affordable fresh produce to Buffalo’s West Side immigrant and refugee population. The farm has many benefits as it: 1- supports the offering of sometimes free, but always affordable fresh produce to the Somali Bantu community as well as other immigrant groups; 2- allows the Somali Bantu to grow produce that is traditional to their dishes and culture; 3- offers the Somali Bantu Community Organization a way to be self-sustainable by providing a source of income; 4- provides for community building in the greatest sense as it provides a place for collaboration with other immigrants, refugees and Western New Yorkers. 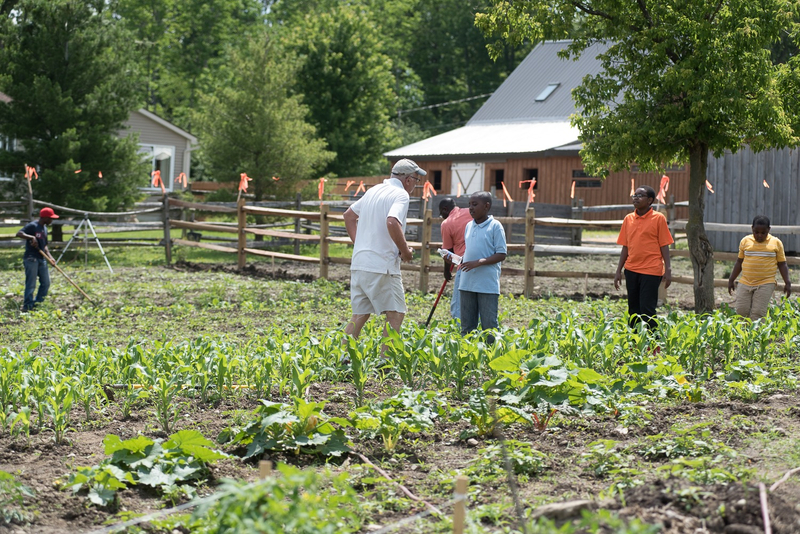 On June 3, 2017, the Somali Bantu Community Garden broke ground on an eighth-acre parcel in East Aurora, NY, as a collaborative effort of the Somali Bantu Community Organization of WNY, Providence Farm, and the East Aurora Huddle. On May 26, these three groups met to explore the possibility of a rural farm for the Somali Bantu refugees of Buffalo to grow affordable produce to bring back to their West Side community. 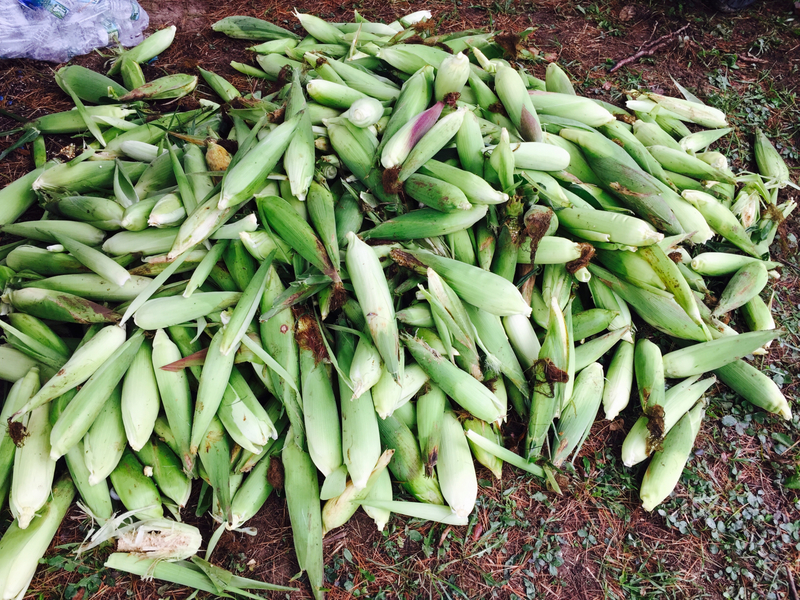 After securing farmland, efforts were underway to collect donations of tools, plants, and seeds. 45 volunteers of all ages, from the Somali Bantu community, East Aurora, and across the region showed up to plant. As the weekend came to a close, Zittel’s Country Market donated an additional 1,700 seedlings. At this point, the landowner jumped in and gave the project more land for these new plants. 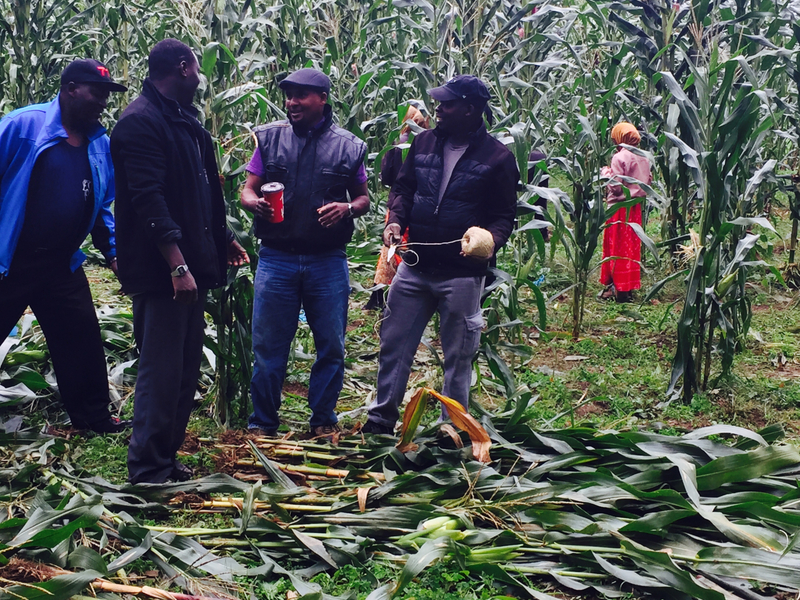 He also took the initiative to look for other nearby landowners who might be interested in sharing farmland with the Somali Bantu. On June 11, as another 50 volunteers completed planting a second paddock with the plants donated by Zittels, news arrived that a nearby landowner wanted to donate 3-to-5 acres of his property. 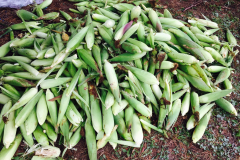 The next couple of weeks were spent raising money through a Go Fund Me page, purchasing more tools and seeds, setting up irrigation systems, tending already planted beds, and on July 4th, spending the holiday planting corn, okra, and amaranth. 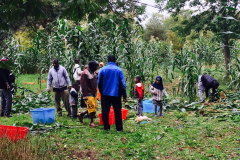 It was at this point in July 2017 that the project was renamed the Somali Bantu Community Farm. 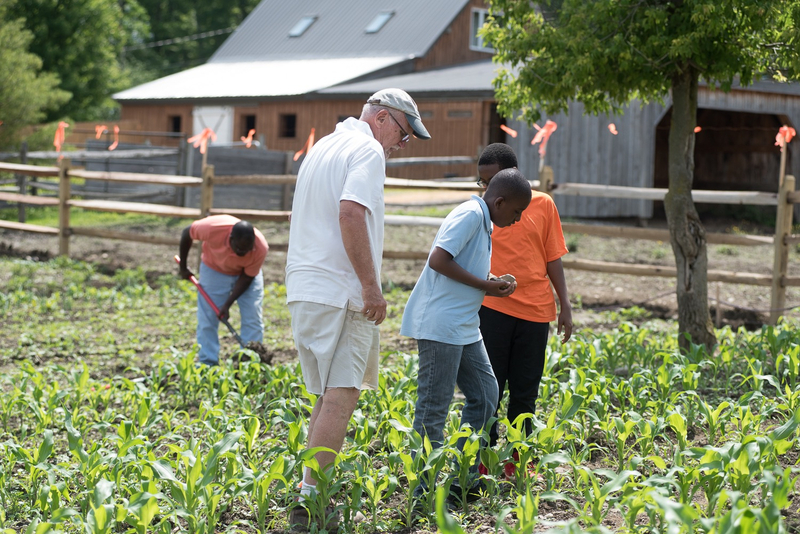 That summer, the farm became a place where generations of families, immigrant and native-born Western New Yorkers, urban and rural residents, worked side-by-side toward a common goal. 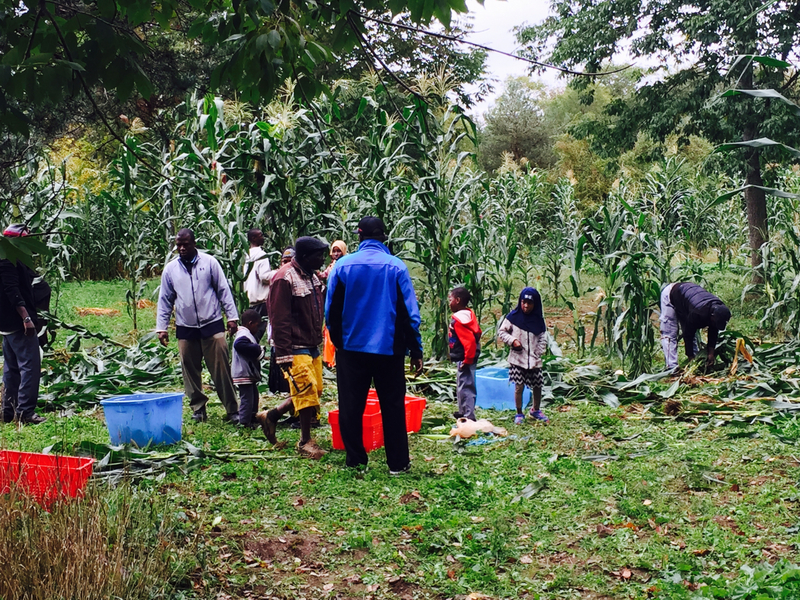 For the first time, the Somali Bantu elders shared their farming knowledge with their children, grandchildren and newly made friends; the Somali Bantu children found pleasure and joy in being outside, playing in a field, working in the garden, picking apples, or learning about the farm animals. 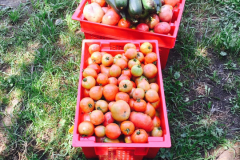 By the middle of July, the farm’s first crops were ready and every week, through the end of October, the trunks of cars – at times as many as 12 cars – were filled with produce picked by the community and volunteers: tomatoes, onions, red potatoes, white potatoes, carrots, sweet peppers, hot peppers, peas, beans, zucchini, yellow squash, herbs, corn, amaranth, apples, watermelon, Swiss chard, lettuces, spinach, and cucumbers. All of this was brought back to Grant Street and shared with the Somali Bantu. 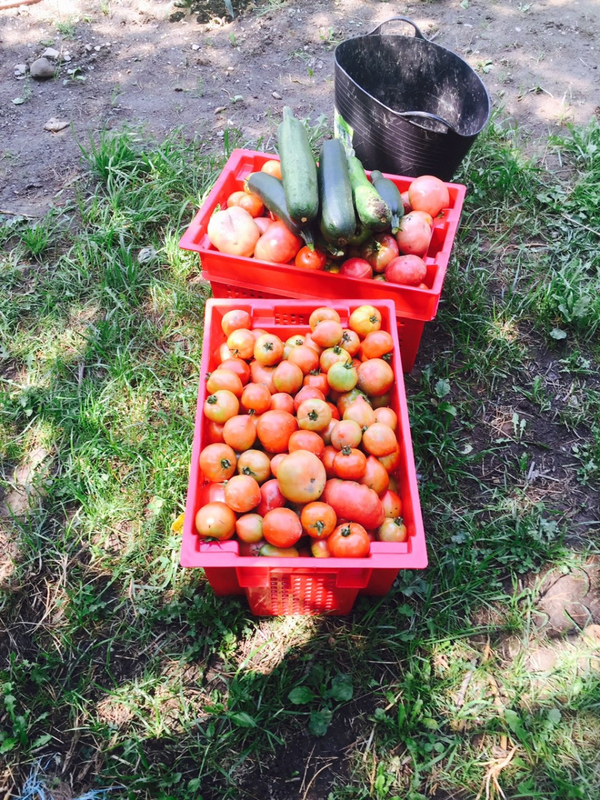 It is estimated that over 100 families were provided with fresh produce during the summer of 2017. The wonder of this project has continued. 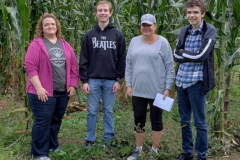 In April 2018, the farm received a nearly $74,000.00 grant from the United Way of Buffalo and Erie County and General Mills. 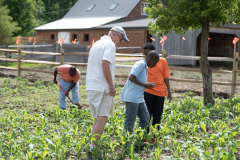 Through this generous grant, the farm purchased a pickup truck, a passenger van, a tractor with attachments, two storage trailers, fencing, irrigation equipment and seeds. These funds helped the farm grow in ways unimaginable a year ago. Fresh farm produce continued to be sold at affordable prices; unique African crops were successfully grown and brought back to the West Side; cash crops of garlic and flowers helped the project establish a revenue source; and 1,500 pounds of vegetables were given away to people in need. 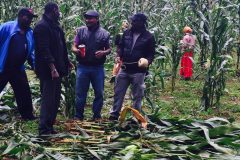 Currently, the farm has two venues in which it sells its cash crops to support the organization’s programs. 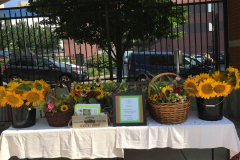 Gourmet organic garlic and cut flower arrangements can be found at the East Aurora Co-Op Market. 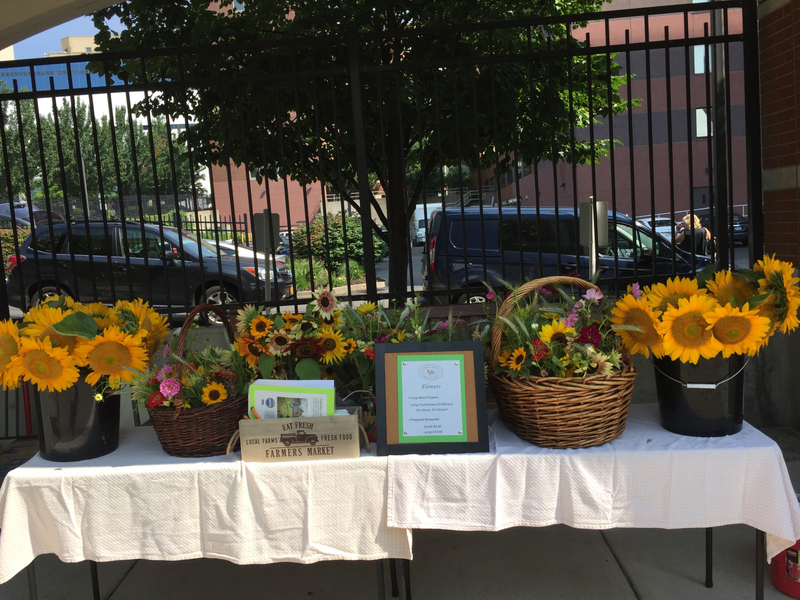 Additionally, flowers and sambusas are sold June through September at the Roswell Park Farmers Market. 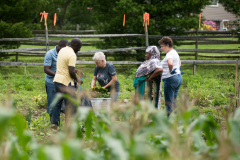 Vegetables and African crops are sold at the organization’s Grant Street office throughout the summer and Somali Bantu Community Farm Compost Tea can be purchased at Masterson’s Garden Center in East Aurora and Seneca Greenhouse in Elma, NY. 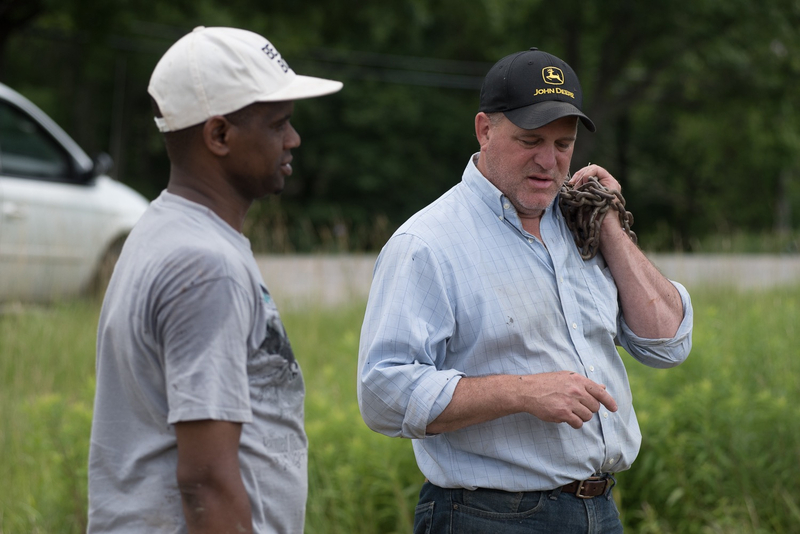 In 2019 the farm’s growing season will be extended with a recently donated greenhouse and the installation of high tunnels through the support of the United States Department of Agriculture’s Conservation Department.